RALEIGH, N.C. -- More than 200 million eggs distributed to restaurants and grocery stores in nine states have been recalled because of bacterial contamination. 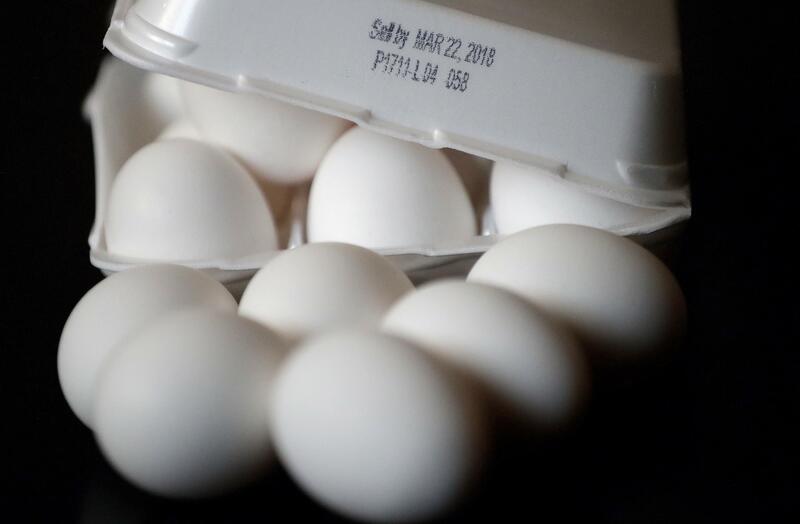 A notice posted on the Food & Drug Administration (FDA) website Friday said the eggs shipped from a North Carolina farm may be tainted with salmonella. The bacteria can cause nausea, diarrhea and, in rare cases, death. Twenty-two illnesses have been reported. "Consumers with these eggs shouldn't eat them," FDA Commissioner Scott Gottlieb tweeted Saturday. "Throw them away or return them to place of purchase for credit or refund." Twenty-two illnesses were reported through Friday, the notice said. According to the notice, "The affected eggs (were) from plant number P-1065 with the Julian date range of 011 through date of 102 printed on either the side portion or the principal side of the carton or package, as follows: Lot Codes 011 – 102." The Food Lion eggs are the chain's store brand. The Great Value brand is sold at Walmart.